Your best option in low cost ultra-light rigid frame wheelchairs. Tsunami ALX is a sleek look, a light frame, a stiffer, more responsive ride all at an incredible price. Tsunami ALX's lightweight construction takes a back seat to no one with an 11.2 lb. transport weight and a 20% stiffer and more responsive ride than chairs costing thousands more. With Ki Mobility you don't have to sacrifice quality, design or options to get a great product at an affordable price. The signature frame construction of our rigid chairs is like nothing else you will see in the market today. You will not feel anything else like it either, because it is 20% stiffer and stronger than other aluminum rigid frames on the market. The lightweight ultra-stiff 7000 series 1 3/8" tubing is the ideal combination of vibration dampening and rigidity. Hidden inside your Tsunami, the simple yet ingenious Crescent CG system keeps the side frame free of excess hardware, while providing infinite adjustability. It is this infinite adjustability that allows you to position the CG anywhere along the side frame without worrying about interference with the backrest hardware or aftermarket seating system. Comfort just got easier. TCS provides individual seat height setting without the clutter of extra metal and hardware. Seat heights are adjustable up and down in 1/4" increments. This gives you a sleek, clean chair. Also, by using the tubular components we greatly increase the lateral stiffness of the chair resulting in a stiffer, more responsive ride. The distinctive front caster housing design is made from precision machined aluminum, providing a unique visual symmetry that catches the eye and is incredibly strong. The design aids in the responsiveness and durability of the ride, which you will feel with every push forward. Just because it has a low price doesn't mean that you have to sacrifice options and the ability to customize. The ALX comes with multiple ways to get the fit you want, the fit you need. Choose the style and positioning you want with more front-frame bend options, tapers and colors than the competition. Infinite Adjustment of your footplate! Now you can easily adjust your footplate in just a few simple steps using just one tool! Simply loosen, adjust and tighten. It is that easy and you are able to achieve the perfect fit, for you. 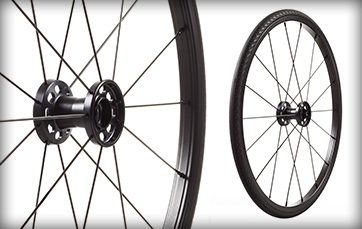 Maxx Performance is our new spoke wheel that offers performance and style without a high price tag. It features eighteen radial spokes and a high flange hub that result in increased rigidity for a more responsive, better performing wheel. The heightened level of responsiveness combined with a lightweight design give the rider the most from every push. Constructed with a 6061 series aluminum rim and straight steel spokes with a durable black satin finish for a look and feel that is anything but standard. 16”x16” Standard Length Frame, Adjustable Height Back - 12”, 4” Poly Casters, Tubular Open Footplate and Standard Upholstery. Rear Wheels Removed. Some colors may be an upcharge. Please refer to order forms for product specific pricing and availability. Only on Rigids, Flip & Liberty FT!